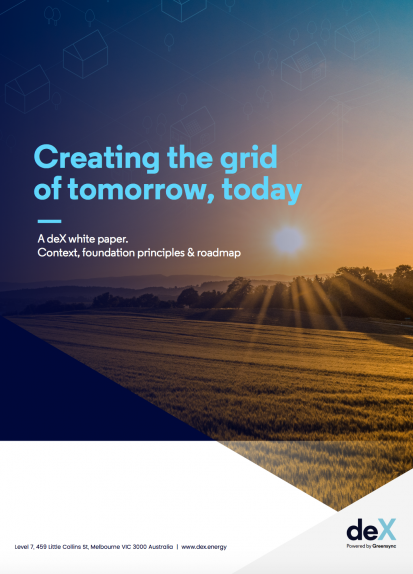 Creating the grid of tomorrow today. Join 1000s of other energy specialists, interested in staying ahead of the curve. The key context and trends that underpin changes in the energy sector. The components required to create an effective decentralised energy market place. The three product layers GreenSync are building into deX; connect, vision and markets. The universal benefits opportunities for players across the energy landscape arising from deX. A roadmap of activity for deX projects, partners, papers and policy through 2018-19.